Key takeaways from the annual AgilQuest conference. Photo by Paul Bohman of White Ribbon Studios. AgilQuest’s fifth annual Agile Workplace Conference — “Workplace Success Begins with People and Choice” — took place last week in D.C., with speakers focusing on the importance of people to any workplace program. Below, check out five points that we — happily and productively — took home with us. Facts don’t change people. People change people. “Even when it’s a matter of life and death, people don’t change their diet,” said McArthur, citing Adam Deutschman, whose popular Fast Company article on the subject was the seed for his later book, Change or Die. And if that’s true in people’s lives, it can’t mean anything good for business. 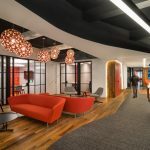 McArthur suggested that a simple awareness of context is the first step towards creating an environment where workplace change will be better received by the people who will have to work there. It takes 90 days to build a work habit. Technology like AgilQuest’s now allows for unprecedented mobility in and out of the workplace. But at the end of the day, it’s the people who are mobile, not the technology. So how can you help them to adjust to these new working habits? CBP employed six people on a mobile work transition team to ease staff into the transition process and help them to become accustom them to working off-site. Management emphasized a focus on outcomes and deliverables instead of activities and people. CBP used existing space to reduce their footprint and practice working in a mobile environment. The two projects that CBP presented at the conference were pilots used to inform an ongoing transition across the entire agency. For best results, they’ve started with smaller groups who were ready for the change. You’re not the only one wondering how to manage people you can’t see. In the same CBP mobility breakout session, Madeline Dunsmore, a senior associate at Savills Studley , who is supporting CBP as a change management professional, indicated that “How do I manage people I can’t see?” is the biggest question that they got from managers during the transition. 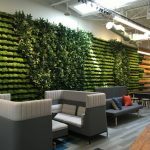 She said that she addressed it in part by explaining that, in reducing square footage and making it unassigned, they’d actually be dedicating more space to the types of things employees do when they getting together and being productive. They decided to name the new neighborhood zones by how people work, for example, “Focus”, “Team”, and “Create”. She added that from the start, every employee was given a choice about whether or not to go mobile. They didn’t know how it would shake out, but in the end, 90 percent of seats in the two pilot projects are now unassigned. Ten percent remain assigned for executives and executive assistants, but only 20 people of that 10 percent opted out. For anyone who opted out, they were given an assigned seat, but no privileges for telework. Presently, the telework policy allows for three days in the office and two days out. Changes in the workplace reflect changes in the economy. “The workplace is a reflection of what’s happening the economy,” said our own Bob Fox during the general session panel, “The Evolution and Revolution of Work & Place”. He described how we’ve moved from an industrial economy to today’s knowledge economy and a period of disruptive change. “It’s unpredictable and conflicts with the core business, there’s discounted risk, and disruption is coming from outside industries,” he said. He also noted that the average business tenure on the Fortune 500 is down from 60 to 15 years; 50 percent of companies have fallen off the list in the past 10 years and 90 percent since 1955; and, 72 percent of CEOs keep their positions for less than five years. How is this reflected in the workplace? There are three types of utilization, and you need to know about each of them. John Vivadelli, president of AgilQuest, circled back at the end of the day to McArthur’s keynote, re-emphasizing his focus on awareness. Allocated space is the sum total of places to sit. But this can be confusing: for example, there may be 100 seats each allocated across three departments and the company says, “Oh, this means we’re 100 percent utilized”. Incorrect, said Vivadelli, but this thinking is a common mistake. “Allocated space is not necessarily utilized space,” he said. Assigned space is space that has been designated for — or, you know, assigned to — a specific employee. But on average, only 75 percent of allocated space is actually assigned. Truly utilized space is the percentage of allocated and assigned space that actually gets used. On average, only 30-40 percent of assigned space is utilized at any given time. And that’s where your workplace transformation can really make a big impact. With this data in hand, you’ll be able to provide more people with more choices at work. And by enabling choice, you’ll keep your edge. AgilQuest's OnBoard helps employees choose when, where, and how they work.